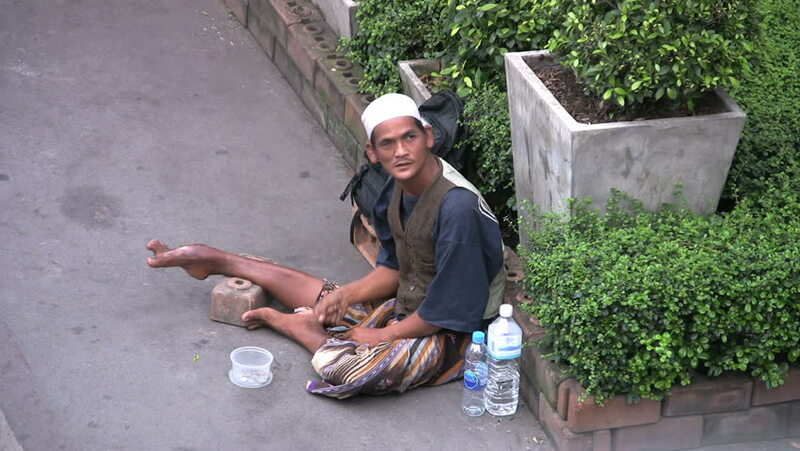 BANGKOK, THAILAND, 2013: A lonely Muslim Asian man waits patiently for people to give him money as he begs on the streets of Bangkok, Thailand. 4k00:17Beautiful young caucasian woman in red sunglasses smiling, taking self portrait or making selfie photo on smartphone camera, sitting on steps on vintage porch of old house on street with green trees. hd00:15Young boy feeding a group of cats outdoors. hd00:22Women pulling root no success.